Media Giants’ almost two decade-long portfolio covers online content, client publishing, magazines, government and corporate work, television, radio, coffee table books, pamphlets, and so much more. We have had great ideas, formed wonderful relationships with clients and told many stories of heroic work, people and companies along the way. Sports content is our passion. We love it and have worked for decades with Australia’s largest sports organisations, publishers, broadcasters and online platforms to bring unique and engaging content across many individual sports, competitions and club content. We help with strategy, we connect with fans, we run teams of content creators and we bring original ideas and creativity, along with a deep knowledge of many sports. Running the overall content generation, management and editorial production for afl.com.au for four years, for Telstra Media, including text, video, daily news, features, fantasy footy collateral and marketing tie-ins. Media Giants created the editorial style and production systems that provided the foundation for AFL Media. Providing original content for online portals ranging from the Seven Network, Nine Network, SBS, ESPN, Fox Sports and others. Being the original provider of Australian sports content for America Online when AOL came to Australia in 1998. Creating print magazines for sports businesses and premiership magazines and yearbooks for AFL clubs. Writing sports articles and columns for newspapers, providing original radio content to SEN and ABC Radio, and creating our own Fox Footy TV show based around young stars in the AFL. Media Giants has worked with Telstra Media for many years, generating ideas, rolling our sleeves up for daily production and providing dazzling original content for many sites, especially Sportsfan.com.au and, for four years, AFL.com.au – Australia’s largest sport site. Media Giants’ production staff have allowed Telstra editorial producers to have weekends, early mornings and late nights off, knowing that their sites are in good hands. Sportsfan.com.au: a recent partnership with Telstra. Media Giants conceived, created and continues to produce Fernwood, a magazine for Fernwood women’s health clubs, full of stories of strong, independent women being the best that they can be, in the gym and in every aspect of their lives. ‘Fernwood’ is loaded with heroes. We love it, Fernwood staff and members love it and, most importantly, potential Fernwood members love it, and become inspired. Media Giants director Michael Roberts has been working closely with the Collingwood Football Club to bring to light the stories of Magpie heroes from through the club’s century-plus of games, premierships and glory (and ok, a few grand finals that didn’t go so well). Media Giants director Michael Roberts tells stories of heroes in black and white. Recently, director Nick Place worked on an ambitious project for RACV’s Royal Auto magazine and app, spending six months riding with the Air Ambulance and following road trauma victims through Emergency, Intensive Care, surgery and rehabilitation. The piece was called Impact and examined the hidden road toll – those who do not die on the roads but take weeks or months or years to recover from accidents, assuming they do recover. A six month-long project for RACV’s ‘Royal Auto’ magazine, website and app. Sportsfan.com.au: our most recent heroic partnership with Telstra Media. Media Giants has written for the Florey Brain Institute, telling complex medical stories in everyday language, of such wonders as ‘super-normals’ – members of the over-eighty years old demographic who are still living large – or the story of a young footballer who suffered a major stroke at training but walked out of the Royal Melbourne Hospital with zero after-effects a week later. Media Giants was able to tell these stories in a potential-donor-friendly voice while conveying the event from the viewpoint of the patients and the specialist doctors. The Florey Institute’s ‘Brain Matters’ magazine. Cover story by Media Giants. 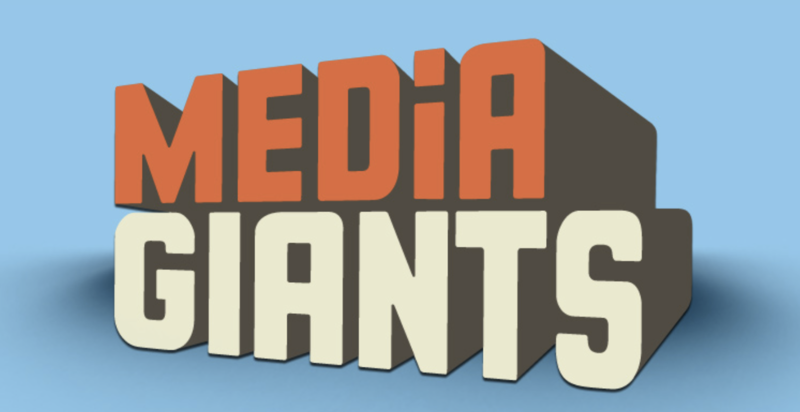 Media Giants is in the process of launching our very own online entity, Giants Among Men, where we aim to salute men aged between 45 and 60 who are rocking out life, while offering tips, advice and information for men in that age group to be the best they can be as they enter the second half-century of their lives. Giants Among Men also aims to be a rich and important source of peer-to-peer, expert and accessible information and views, for men who are struggling with major life issues. Our creative concept for GiantsAmongMen.com.au – Media Giants’ site for men between 45-60: to help them rock out their worlds, and to help them deal with things when life is not going so well. In 2004, Media Giants conceived and produced a harrowing domestic violence documentary for the Federal Government. It was so powerful that the government actually balked at releasing it, but finally did and the video has since been lauded as a landmark in sparking discussion and understanding on this terrible but essential topic. ‘Loves me, loves me not’ is still in demand as a resource for social justice workers and people trying to explain the long-term effects of domestic violence on the victims, families and perpetrators. Media Giants created Australia’s most loved and long-running kids’ film festival, debuting our crazy idea at ACMI in 2004, and then at the Sydney Opera House a year later. It’s still running today, bringing a world of films, viewpoints and emotional touch-points for kids from across the globe, as well as providing a rare showcase for child-made films. Little Bog Shots has featured films about grief, living in a war zone, struggling to survive African drought, bullying and so many more difficult, confronting topics, but all while also giving Australian kids a lot of laughs. May the festival never lose sight of how hard it might be for an animated pig to steal biscuits from on top of a fridge. We eventually broke Little Big Shots out into a stand-alone not for profit organisation, to give it a better chance of gaining funding and philanthropic help. We still love one of our greatest creations. Little Big Shots: one of Media Giants’ most treasured achievements. Media Giants worked with the Victorian Department of Justice to create Koori Justice, a magazine designed to explain the Koori Court system of justice for young Indigenous offenders to an Indigenous and non-indigenous audience. Nick Place has worked closely with Project Manta, a scientific Earthwatch program dedicated to understanding and hopefully help save an endangered giant of the sea, the manta ray. Nick has dived with the Project Manta team, filming video and writing articles about the project’s work and findings. Giants director Nick Place on assignment with Project Manta. Media Giants created the logo, collateral, website, stories, videos, and everything else to bring together groups and individuals working hard to be environmentally aware, responsible and innovative around the state. The then-Premier loved our work so much he broadened the brand to cover a host of other Government-based environmental aspects.